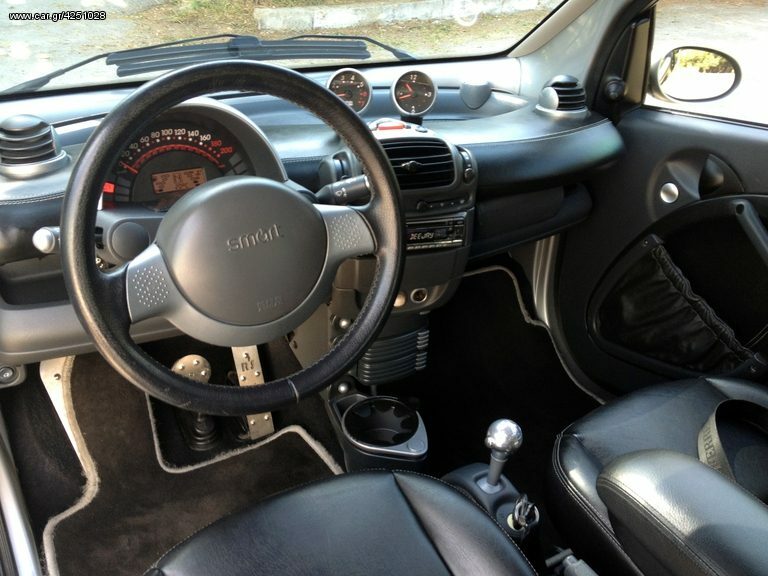 It has A/C, electric windows (with an extra button on the driver's door for the passenger window), a good alarm system, 3M membrane films on all the windows. 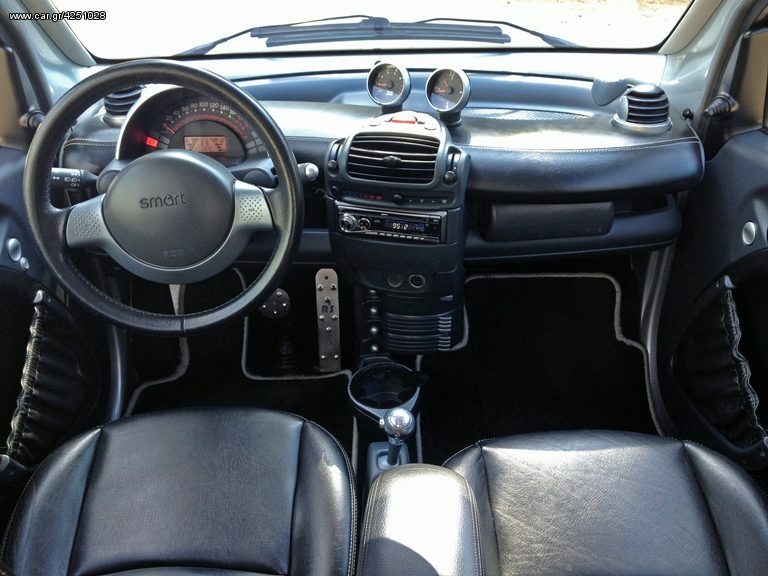 It doesn't have Cruise Control, heated seats, paddles for the gearbox and front foglights. Oh well! 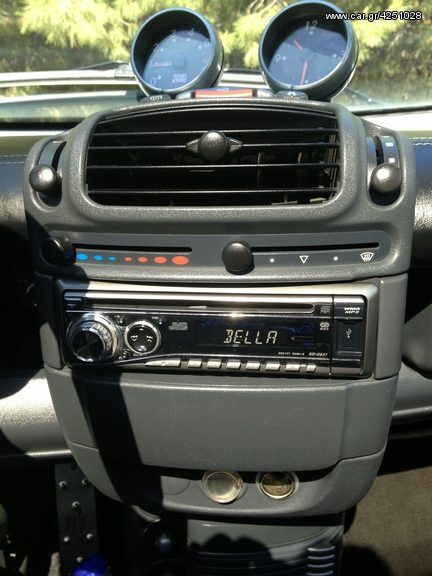 A nice JVC radio/CD with USB port, plus Smart's own Sound Pack, complete with extra tweeters and a subwoofer. It is in pristine condition! 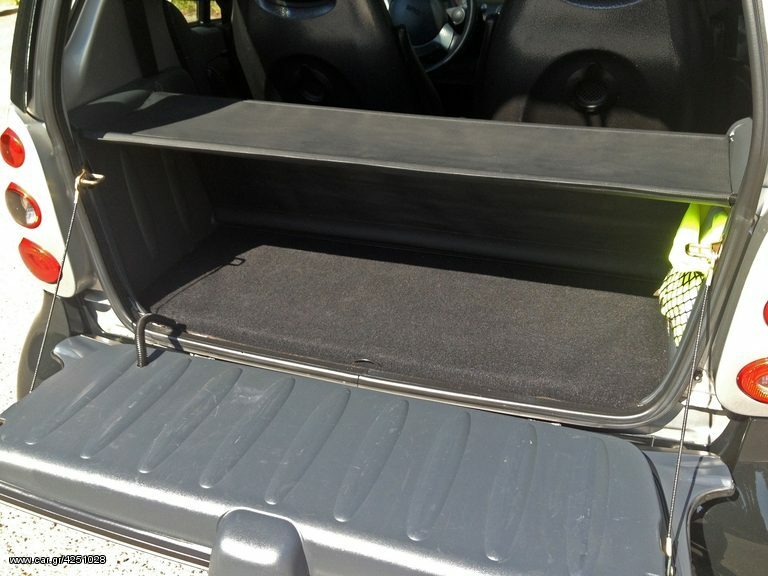 There's the optional luggage tray. 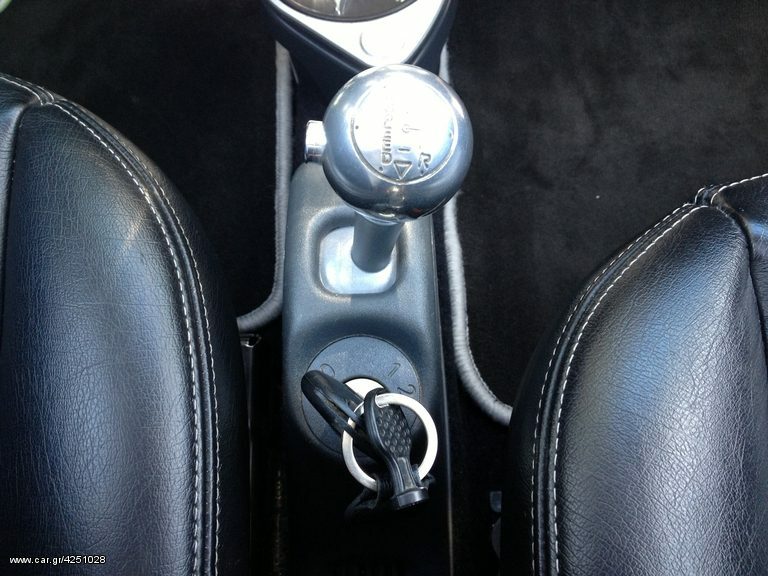 There's also a nice leather covered center armrest and leather covered seatbelt buckles and handbrake lever! R-T Dynamics also supplied custom-made floor mats. In rainy weather, the brake pedal is slippery!!! However, the aluminum pedals add some glitz! 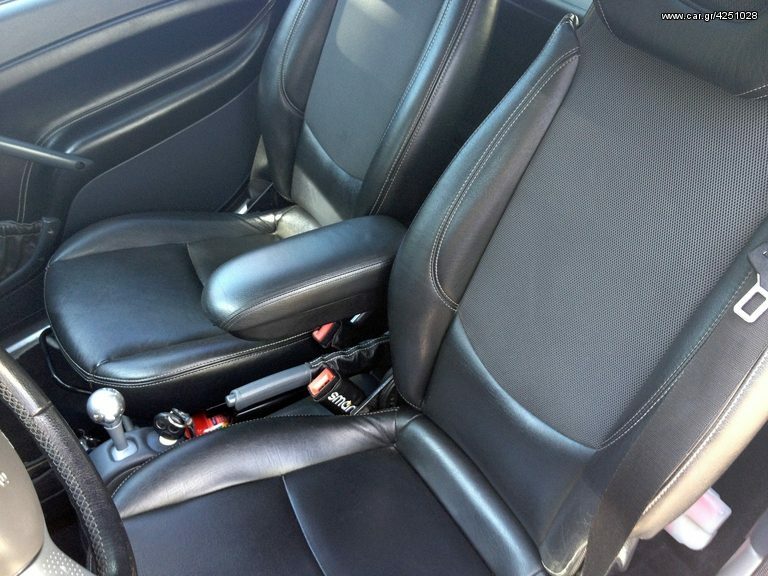 The interior is covered in Connolly leather! 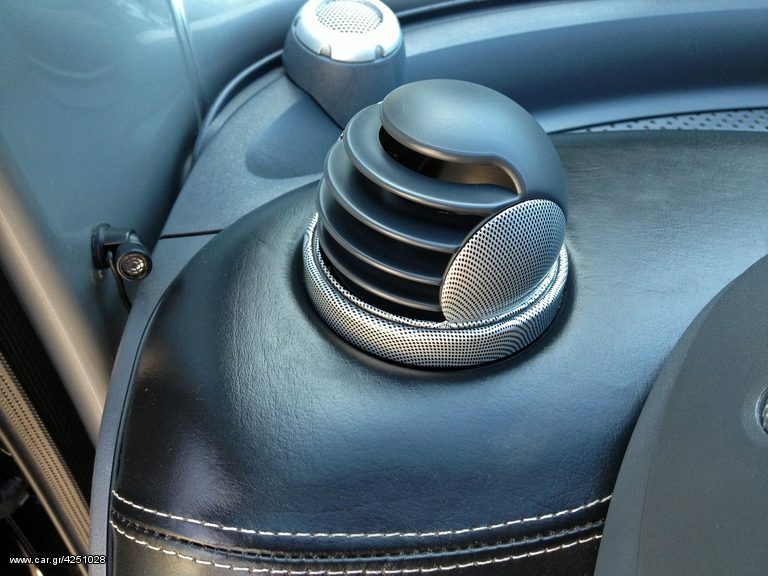 Even the dashboard is covered in leather! The previous owner was a non-smoker, but he had the ashtray kit, dual cd-disk holders and the cup-holder. 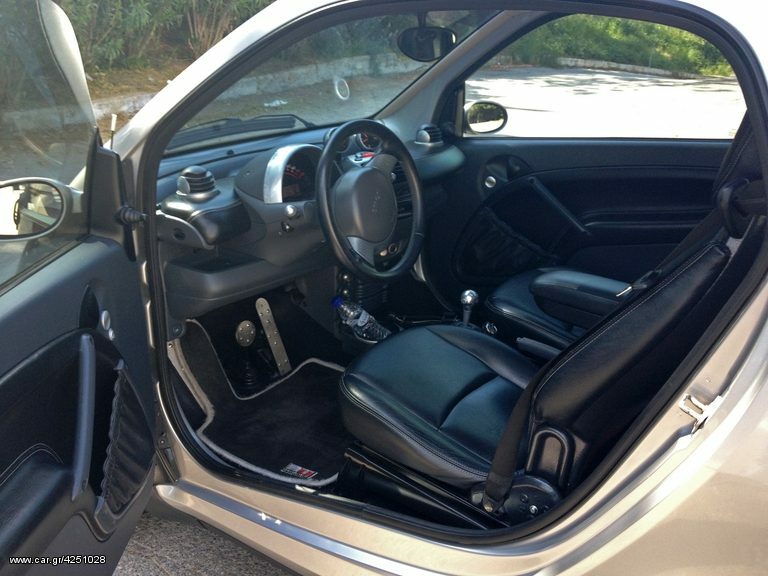 The door panels are leather-covered as well! 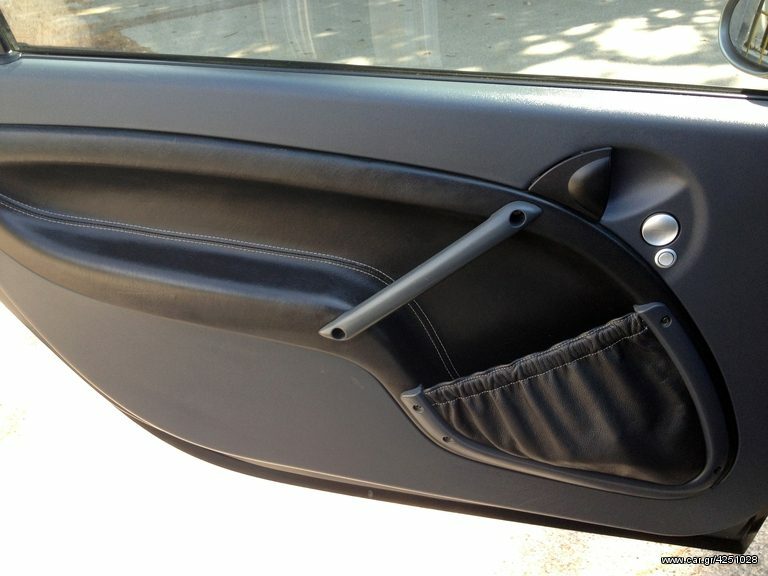 Notice the small button: It opens the passenger side window.